Rates are for 2 hours of jump time. Children 12 and older: Sorry, you’re too big. 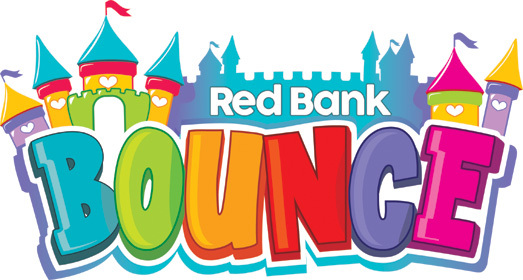 Red Bank Bounce is for children 11 and under only. $250 + tax for up to 15 children. $10 + tax each additional child. Two hours of time structured as you see fit with use of our party room. Party host to help organize and set things up. Table covers, plates, utensils, cups (you can always also bring your own if you don’t like ours). One bottle of water per child. You must provide your own food and additional beverages. No alcohol. Please click here to book a birthday party. Red Bank Bounce is available for a private facility rental after 6 PM Wed-Sun, or almost any time Monday & Tuesday. The cost is $200+tax an hour with a minimum of 2 hours. Rules still apply to private rentals, but you will enjoy private access to our facility including our party room should you need it. Contact us via phone or in person to arrange. Interested in hosting a fundraiser night for your school, church, or other organization? We can help. You must be able to guarantee a minimum number of children but these nights can take place on any night we allow private rentals (see above). $2 of every admission that night will be donated back to your organization. You are also allowed to bring in your own concessions or products to sell, however we reserve the right to veto and disallow any product or consumable (for instance we would not allow gum, suckers, popcorn, chips, etc. Things which could pose a safety hazard or could create a giant mess). If you wish to do this you should verify your concession list in advance. Our in-house concessions would of course always be available. Contact us via phone or in person to arrange.